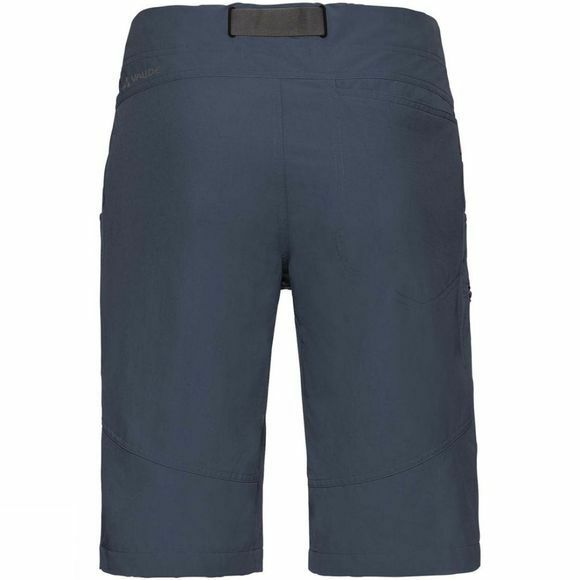 The Mens Skarvan Bermuda Shorts from Vaude allows you to Awake your inner adventurer! 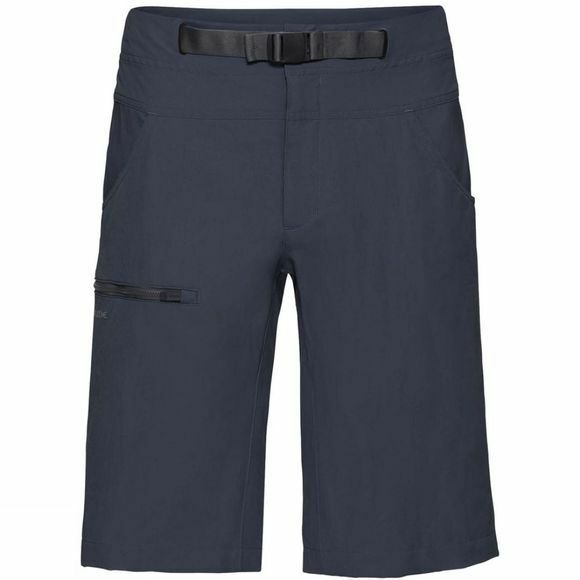 Lightweight trekking bermudas made from a robust yet stretchy fabric (recycled polyamide and elastane). Ideal for mild regions and sunny stays in camp. An integrated belt and three practical pockets round off these comfortable touring pants. This product is made with Eco Finish, an eco-friendly, fluorocarbon-free, water repellent finish (PFC-free). The Vaude Green Shape label stands for environmentally friendly, functional products made from sustainable materials.